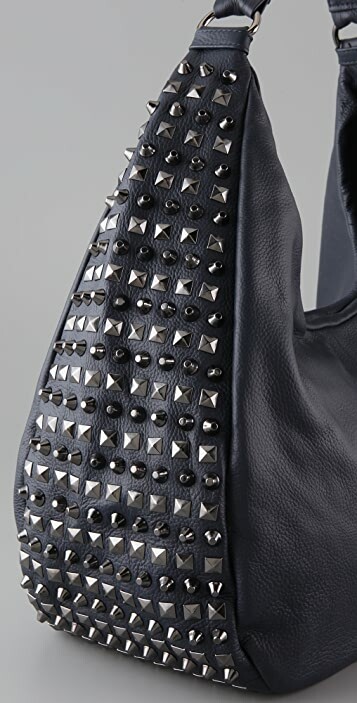 This pebbled leather handbag features cone and pyramid studs at the sides and bottom. Vertical seams at front and back. Gunmetal hardware. Leather handle and magnetic main compartment closure. 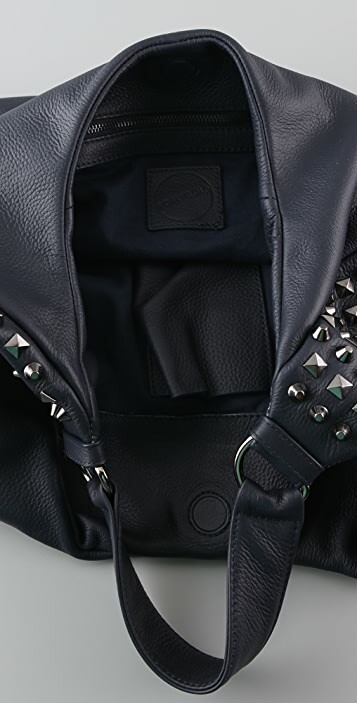 Lined interior features zip pocket and patch pocket. 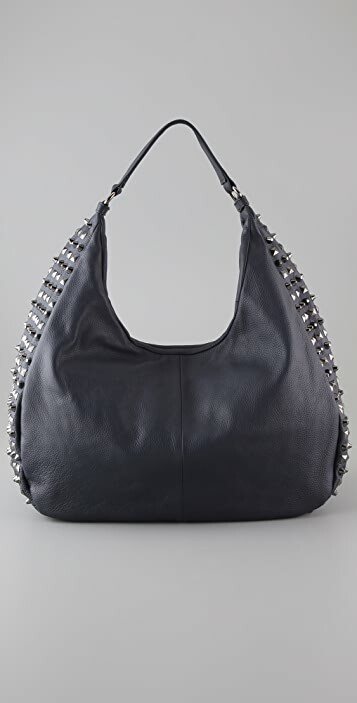 * 10"H x 21"L x 7"D.
In 2009, close friends Lisa Goldstein and Romy Jagid set out to design a line of handbags that were chic, edgy, and reasonably priced. Refusing to sacrifice style, material, or workmanship for the sake of affordability, they created ROMYGOLD handbags, a collection of timeless shapes with subtle details in the highest quality distressed and embossed leathers. 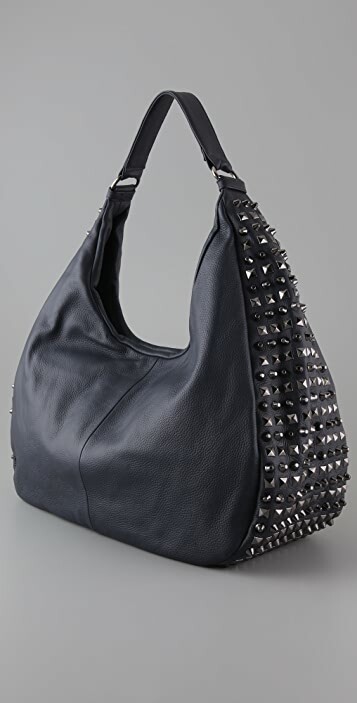 Today, ROMYGOLD bags are favorites among editors and stylists, garnering rave reviews wherever they are carried.